Luxury White 2019 Chrysler Pacifica Touring Plus, Remote Start, Keyless Entry, Backup Camera, Bluetooth, Alloy Wheels, DVD Entertainment System, Power Liftgate, Third Row Seating, Park Assist, Heated Steering Wheel, Heated Cloth Seats. 19/28 City/Highway MPG Thank you for visiting Wabash Valley Chrysler Dodge Jeep and Ram's Online Showroom. Our customers voted us #1 in Customer Satisfaction for a reason - because Wabash Valley works hard to make sure each and every customer is taken care of before, during and after the sale. Let Wabash Valley Chrysler Dodge Jeep and Ram show you how car buying should be. Make a confident, stress-free purchase knowing Wabash Valley was voted #1 in Customer Satisfaction by our customers for the entire Fort Wayne region. 2019 Chrysler Pacifica Touring Plus Remote Start, Keyless Entry, Backup Camera, Bluetooth, Alloy Wheels, DVD Entertainment System, Park Assist, Heated Cloth Seats, Blind Spot & Cross Path Detection, Heated Steering Wheel. 19/28 City/Highway MPG Thank you for visiting Wabash Valley Chrysler Dodge Jeep and Ram's Online Showroom. Our customers voted us #1 in Customer Satisfaction for a reason - because Wabash Valley works hard to make sure each and every customer is taken care of before, during and after the sale. Let Wabash Valley Chrysler Dodge Jeep and Ram show you how car buying should be. Make a confident, stress-free purchase knowing Wabash Valley was voted #1 in Customer Satisfaction by our customers for the entire Fort Wayne region. 2018 Chrysler Pacifica Touring L Plus, 4-Door Passenger Van, 3.6L V6 24V VVT engine, 9-Speed Automatic transmission, Copper Pearlcoat, Black & Light Diesel Gray Leather seating featuring "S" Badging, 13 Speakers, 1-Year SiriusXM Guardian Trial, 8.4" Touchscreen Display, Audio & Video remote with Dual Seatback Screens, Apple CarPlay, Automatic temperature control, Black Badging, Black Chrysler Grille Wing Badge, Black Day Light Opening Moldings, Black Spear Applique - Rear Fascia, Black Stow N Place Roof Rack, Blind spot sensor: Blind Spot Detection warning, Body Color Door Handles, Disassociated Touchscreen Display, Entertainment system, Front dual zone Air Conditioning, Google Android Auto, GPS Antenna Input, GPS Navigation, HD Radio, Headphones, Heated door mirrors, Heated front seats, Heated rear seats, Integrated Voice Command with Bluetooth, Power driver seat, Power Liftgate, Uconnect 4C Radio with Navigation with 8.4" Touchscreen Display, Rain sensing wipers, Rear air conditioning, Rear Parking Sensors, Reclining 3rd row seat, S Badge, SiriusXM Satellite Radio, SiriusXM Traffic Plus, SiriusXM Travel Link, Steering wheel mounted audio controls, Upper & Lower Grilles with Black Surrounds Premium Fascia, USB Host Flip, Wheels: 18" x 7.5" Aluminum Black Noise. 28/19 Highway/City MPG Thank you for visiting Wabash Valley Chrysler Dodge Jeep and Ram's Online Showroom. Our customers voted us #1 in Customer Satisfaction for a reason - because Wabash Valley works hard to make sure each and every customer is taken care of before, during and after the sale. Let Wabash Valley Chrysler Dodge Jeep and Ram show you how car buying should be. Make a confident, stress-free purchase knowing Wabash Valley was voted #1 in Customer Satisfaction by our customers for the entire Fort Wayne region. 2018 Chrysler Pacifica Touring L Plus, 4-Door Passenger Van, 3.6L V6 24V VVT engine, 9-Speed Automatic transmission, FWD, Bright White Clearcoat, Black & Alloy Leather interior, 13 Speakers, 17" Aluminum Wheels, Audio & Video remote, Apple CarPlay, Automatic temperature control, Blind spot sensor: Blind Spot Detection warning, Entertainment system, Front dual zone Air conditioning, Google Android Auto, GPS Antenna Input, GPS Navigation, Hands Free Sliding Doors, HD Radio, Headphones, Heated door mirrors, Heated front seats, Heated rear seats, Integrated Voice Command with Bluetooth, Power driver seat, Power Liftgate, Uconnect 4C Radio with Navigation with 8.4" Touchscreen Display, Rear air conditioning, Rear Parking Sensors, SiriusXM Satellite Radio, Sun blinds, USB Host Flip. 28/19 Highway/City MPG Thank you for visiting Wabash Valley Chrysler Dodge Jeep and Ram's Online Showroom. Our customers voted us #1 in Customer Satisfaction for a reason - because Wabash Valley works hard to make sure each and every customer is taken care of before, during and after the sale. Let Wabash Valley Chrysler Dodge Jeep and Ram show you how car buying should be. Make a confident, stress-free purchase knowing Wabash Valley was voted #1 in Customer Satisfaction by our customers for the entire Fort Wayne region. 2019 Chrysler Pacifica Touring L Plus , 4-Door Passenger Van, 3.6L V6 24V VVT engine, 9-Speed 948TE Automatic transmission, Jazz Blue Pearlcoat, Black Leather interior, 20 Speaker harman/kardon Sound Group, 760 Watt Amplifier, Audio & Video remote, Automatic temperature control, Black Badging, Black Chrysler Grille Wing Badge, Black Day Light Opening Moldings, Black Spear Rear Fascia Applique, Black Stow N Place Roof Rack, Blind Spot & Cross Path Detection, Body Color Door Handles, Entertainment system, Front dual zone Air Conditioning, Garage door transmitter, Headphones, Heated door mirrors, Heated front seats, Heated steering wheel, Navigation System, Perforated Leather Bucket Seats with S Logo, Power driver seat, Power Liftgate, Premium Fascia Upper & Lower Grille with Black Surround, Uconnect 4C Radio with Navigation with 8.4" Touchscreen Display, Rear Parking Sensors, S Appearance Package, S Badge, Steering wheel mounted audio controls, Sun blinds, Wheels: 18" Aluminum Black Noise. 28/19 Highway/City MPG Thank you for visiting Wabash Valley Chrysler Dodge Jeep and Ram's Online Showroom. Our customers voted us #1 in Customer Satisfaction for a reason - because Wabash Valley works hard to make sure each and every customer is taken care of before, during and after the sale. Let Wabash Valley Chrysler Dodge Jeep and Ram show you how car buying should be. Make a confident, stress-free purchase knowing Wabash Valley was voted #1 in Customer Satisfaction by our customers for the entire Fort Wayne region. Bright White 2018 Chrysler Pacifica Limited, Keyless Entry, Bluetooth, Panoramic Sunroof and Third Row Seat Sunroof, Heated Leather Seats, Alloy Wheels, Navigation System, Power Liftgate, Park Assist, Heated Steering Wheel, Back up Camera with 360 Surround View, 13 Speakers, Adaptive Cruise Control with Stop & Go, Memory seat, Parallel & Perp Park Assist with Stop, Ventilated Front Seats. 19/28 City/Highway MPG Thank you for visiting Wabash Valley Chrysler Dodge Jeep and Ram's Online Showroom. Our customers voted us #1 in Customer Satisfaction for a reason - because Wabash Valley works hard to make sure each and every customer is taken care of before, during and after the sale. Let Wabash Valley Chrysler Dodge Jeep and Ram show you how car buying should be. Make a confident, stress-free purchase knowing Wabash Valley was voted #1 in Customer Satisfaction by our customers for the entire Fort Wayne region. Velvet Red Pearlcoat 2019 Chrysler Pacifica Limited, 3.6L V6 24V VVT, 9-Speed 948TE Automatic, 13 Speakers, 20" Aluminum Wheels, Remote Start, 3-Channel Video Remote Control, Blind spot sensor: Blind Spot Detection warning, Blu-Ray/DVD Player/USB Port, Garage door transmitter, Heated front seats, Heated rear seats, Heated steering wheel, Memory seat, Navigation System, Power Liftgate, Power sunroof/moonroof, Uconnect 4C Radio with Navigation with 8.4" Touchscreen Display, Rear Parking Sensors, Remote keyless entry, Seatback Video Screens, Ventilated front seats. 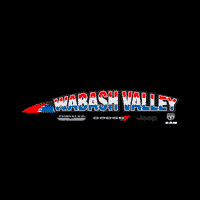 19/28 City/Highway MPG Thank you for visiting Wabash Valley Chrysler Dodge Jeep and Ram's Online Showroom. Our customers voted us #1 in Customer Satisfaction for a reason - because Wabash Valley works hard to make sure each and every customer is taken care of before, during and after the sale. Let Wabash Valley Chrysler Dodge Jeep and Ram show you how car buying should be. Make a confident, stress-free purchase knowing Wabash Valley was voted #1 in Customer Satisfaction by our customers for the entire Fort Wayne region.